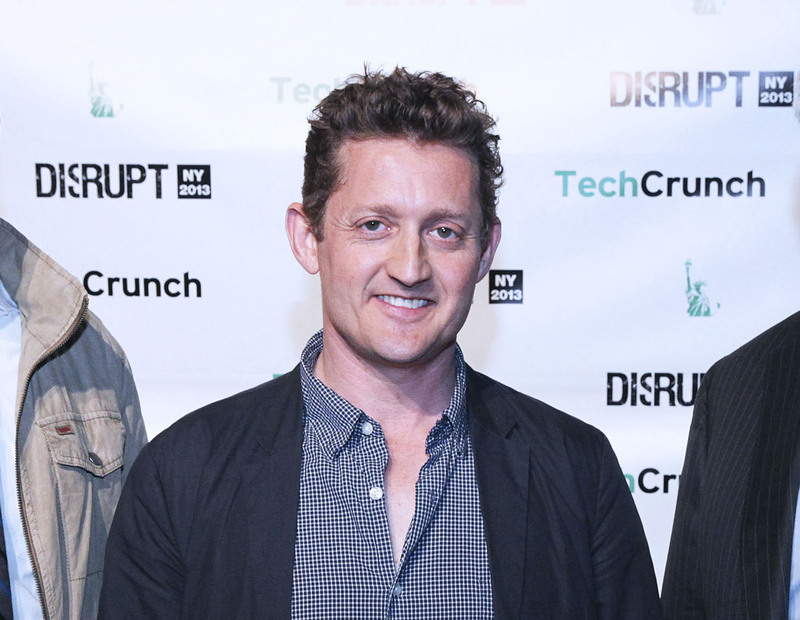 Libertarian ideals, crime and citizens' rights in the digital age – there are many themes running through Alex Winter's latest documentary film, Deep Web, but by far the greatest focus is the story of Ross Ulbricht and his involvement in the online drugs marketplace Silk Road. Winter, best known for his role as Bill Preston in the Bill and Ted franchise, has long since proved his worth on the other side of the lens, having sat in the director's chair on five films since 1993. His latest offering begins with a rousing speech by British libertarian and cypherpunk Amir Taaki, warning of corrupt fascists masquerading as "white knights". Taaki enthuses that now is the time for the technological classes to take back their sovereignty. The movie goes on to explore the mysterious underbelly of the Internet – the hidden layer called the Deep Web and its anonymity-rich area: the Dark Net. It's here that illegal drug marketplaces exist and where Ulbricht's story begins. The film focuses on the arrest of Ulbricht, the charges made against him for his involvement in the creation and operation of Silk Road and the court case centred on these allegations. Along the way, Deep Web introduces a number of people, ranging from Ulbricht's mother, a childhood friend and a former law enforcement professional, to his defence lawyer, an anonymous Silk Road drugs vendor and an anti-prohibition campaigner. Winter explained the film was initially to be centred broadly on bitcoin, the Dark Net and the revolutionary ideas behind cryptography, encryption and cryptocurrencies, however this soon changed. "The guy is facing the rest of his life in jail. I think it's important to think about Ross Ulbricht – whatever you think about his guilt or innocence – you have to reflect on this human being's life." The film speaks of Ulbricht's libertarian leanings and suggests Silk Road was much more about affording people the freedom to buy and sell whatever they wish (so long as it didn't cause harm to others) than about drug dealers making a quick buck. "The people I got to know in this world didn't make a lot of money. These weren’t people who were driven by money, they were driven by ideals," Winter said. These people aimed to exercise their freedom and create a safer alternative to the existing drugs market, which is plagued by death and violence. In Deep Web, Neill Franklin, the director of Law Enforcement Against Prohibition describes how he experienced this first-hand when working as a Maryland State Police major. During the early 2000s, he came to the realisation that policies on drug prohibition were "counterproductive to public safety" and gradually became opposed to the War on Drugs. He believes moving the drugs trade from street corners to online services would lead to a dramatic decrease in the number of shootings and homicides. "It removes the buyer from the back alleys and the street corners and those dangerous places [where people are] dealing with the seller. Buying over the Internet … removes that scenario." He emphasised that, after four decades of the War on Drugs, it's clear it isn't working, so it's time to try a new approach. The actions of US law enforcement are also called into question elsewhere in the film. Wired tech journalist Andy Greenberg and Berkley computer scientist Nicholas Weaver discuss the mystery surrounding the seizure of the Silk Road servers, which were at a data centre in Iceland. The physical location of these servers was protected by Tor, which defends against traffic analysis and network surveillance, so the mystery as to how this was obtained remains unsolved. Although the FBI asserts it did not use illegal techniques to obtain the server, many suggest illegal hacking methods were used. "We still don't know how the Silk Road server was found, we don't know whether Ross' fourth amendment rights were violated and whether this case will set precedence for the violation of any citizen's rights in the digital age," said Winter. As for whether the authorities are scapegoating Ulbricht for his involvement in Silk Road, Winters isn't sure. The 49-year-old said it's clear Ulbricht is not entirely innocent – he admitted to founding the site – but there are some things he is likely being unfairly lumbered with. Winter believes the authorities will choose to make an example of Ulbricht and hand out a harsh sentence, but he doesn't feel this will hamper the creation or progression of online drugs marketplaces. "There are more and more market places popping up every day – it's certainly the beginning of this era, not the end." Bitcoin plays a big part in this film, as the payment method used to buy goods on Silk Road, and Winter is a long-time fan of digital currency. He first become aware of bitcoin in 2009 while working on his previous film Downloaded, about the controversial file-sharing site Napster, which rocked the music industry in the late 1990s and early 2000s. It wasn't until 2011 or 2012 that he realised the "true significance" of bitcoin, and that was when he came across Silk Road. "Silk Road combined bitcoin and Tor in a way that was so powerful that it created a movement and the mechanics for a new marketplace – a new way of using bitcoin. It popularised bitcoin in such a way that there’s really no going back," he said. According to Winter, the true power of bitcoin lies in its supporting community. "I think bitcoin is very threatening to various established systems because of the community component," he explained. He's also adamant that bitcoin's use on illegal marketplaces such as Silk Road will not do, and has not done, the cryptocurrency any harm. The director believes bitcoin wouldn't be where it is today if it wasn't for Silk Road. put peer-to-peer communities on the map." Also a fan of bitcoin is the movie's narrator, Keanu Reeves, of Matrix and Point Break fame and Winter's co-star in Bill and Ted. "Keanu has been watching my cuts since the early days of this project, he's very very interested in this story, so that's why he got involved. He's also into bitcoin," said Winter. When asked about the film's main message, Winter insists there isn’t just the one. The issues raised in the film are so complex and intertwined it's impossible to walk away with one resounding message in mind. "I don't want people to get trapped in the black and white," he said. "The human brain has this impulse to side on one side or the other, but I think it's a big mistake not to live in the greys. You need to get out of the black and whites."